Yuuta Segawa is a university freshman who was looked after by his older sister, Yuri, but decided to live alone when Yuri got married. Yuuta is starting college as a freshman in Tama University. He wants his sister to understand that he can take care of himself; he has a part-time job and is able to sustain his home. Yuuta starts his school life surrounded by intriguing characters such as Raika Oda, a second year student of Tama University School of Literature. She is a very good cook and is the only female member in the Street Observation Research Society. 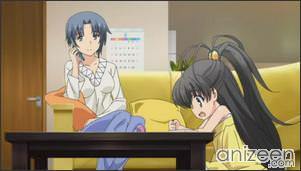 Meanwhile, at Yuri’s place, something is going on, she and her three daughters are preparing a surprise for their father. Yuri is really happy with her life, and wants Yuuta to understand and become part of her family. But Yuuta feels that he’d bother them with his presence. Anyway, Yuuta is more concerned about school, one day; he found Raika sit next to him. The next he notices, is that he already has a crush on her. So he decides to join the Street Observation Research Society to spend more time with her. 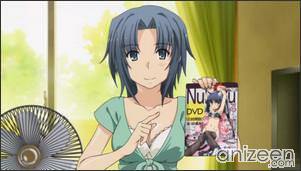 One day, Yuri comes to Yuuta’s and implores that he visits them at her home on Sunday. Reluctantly, Yuuta accepts and goes. That day, Yuuta is welcomed by Miu, the second oldest girl, who waits no longer to invite Yuuta to come in. 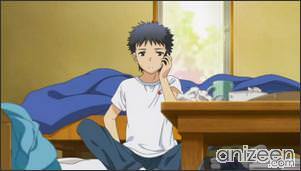 Now, Yuuta starts feeling a little bit uneasy, since her sister and her husband are not at home. 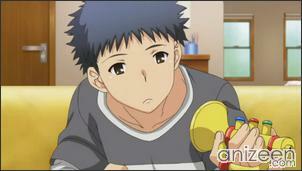 Miu tells him that they won’t be coming soon, and that they were told that their uncle would take care of them. Then, Yuuta meets Hina, the youngest of the girls. She is three years old and refers to Yuuta as her Uncle, but her pronunciation isn’t close to the real word. Yuuta asks Hina to call him big brother or something like that; he doesn’t want to feel that old. Finally, Yuuta tries to settle down and play with Hina. He goes to the bathroom just to find out that Sora, the eldest of the girls, is changing clothes. Both are shocked and stay put without a word, until Sora screams out loud because Yuuta sees her partially naked. 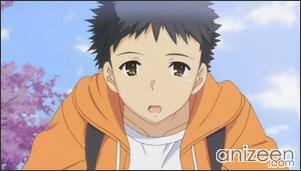 Yuuta Segawa is a college freshman just starting a new life in the School of Literature at Tama University. His parents passed away when he was young. As such, he was raised by his sister, Yuri. He was angry with his sister’s decision to marry a man who has two daughters from previous marriages. When Yuri and her husband go missing, their three daughters had no one to turn to. 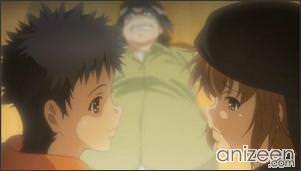 Yuuta makes a decision to take them in and becomes their guardian. He is surprisingly reliable. 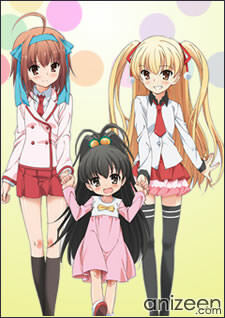 Sora Takanashi is the eldest of the three sisters. She is 14 years old, second-year student in middle school, and has a strong personality. She normally refers to Yuuta as “older brother -Onii-chan-” and holds a longtime crush on him but he is oblivious to her feeling and thought she is just a shy and short tempered girl. She also gets easily jealous when he is with Raika. She has fairly good grades in school but is not adept at cooking. 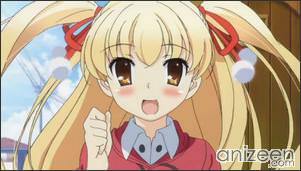 Miu Takanashi is the second eldest of the three sisters; she is 10 years old, fifth grader. She has blonde hair as her biological mother has a Russian lineage. She normally refers to Yuuta as “uncle -Oji-san-“. She has a preference for guys who are older than her and manly. 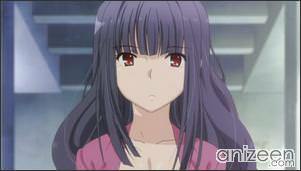 It is implied that she may have a slight crush on Yuuta, as she is particularly curious about his romance life. Papa no Iukoto o Kikinasai! (パパのいうことを聞きなさい! ), also known as PapaKiki!, is a Japanese light novel series written by Tomohiro Matsu and illustrated by Yuka Nakajima. The first volume was published by Shueisha under their Super Dash Bunko imprint December 2009. A manga adaptation drawn by Yōhei Takemura started serialization in the September 2011 issue of Jump Square, with several spin-off manga series also launching in the same year. 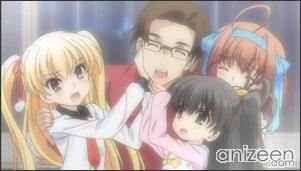 An anime adaptation by feel. 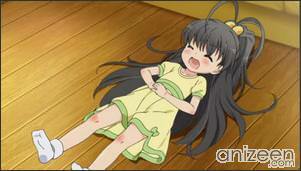 start airing in Japan on January 11, 2012.